Computer simulations provide a powerful tool for understanding ecological and evolutionary systems. 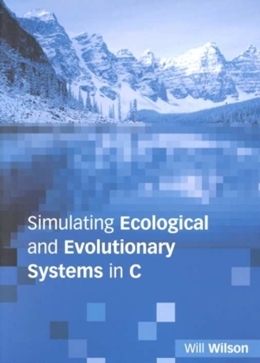 ´Simulating Ecological and Evolutionary Systems in C´ models a diverse range of biological processes and systems, including competition, foraging, predation, mating systems, and life-history optimization, by simulating large collections of interacting individuals. Using the widely available computer programming language C, the book starts with elementary programs modeling stochastic birth-death processes, slowly increasing programming complexity as the chapters progress. All the important features of C are covered, including arrays, files, pointers, and structures, within biologically motivated simulations. Although computer simulations of extremely complicated biological processes are released from rigid mathematical constraints, each of the simulations is also placed in the context of a mathematical formulation examined either analytically or numerically. Procedures covered include testing random number generators, producing PostScript files, root-finding, numerical integration and using the genetic algorithm.